I have reviewed many things since I’ve joined Bleeding Cool. Comics, movies, music, books, television series, toys, board games and video games just to hit the highlights. Today I was asked to review something different. Dynamite’s new Vampirella Tarot Card Deck that hits comic shops tomorrow. This was initially offered as a kickstarter and my curiosity was peaked. In my younger days I used to read tarot cards for friends at parties. I never claimed to have any psychic ability, but I was pretty good at interpreting the cards and my friends found it entertaining enough that they kept asking me to do it. 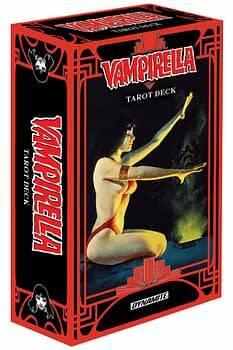 But my deck has long since been put away, which made me think that this Vampirella one would be worth picking up. The deck includes both the major and minor arcana. For those not familiar with tarot cards, the major arcana are the named cards like The Lovers, The Hanged Man, The World and Death. 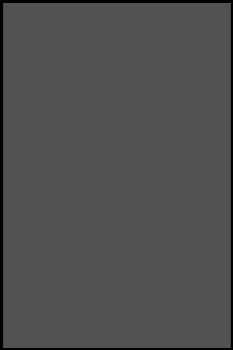 The minor arcana are the numbered cards like the Two of Cups and the Seven of Swords. You can do a reading with just the major arcana, but most readers prefer using the full deck. Interestingly, as a bonus there were three cards added to the major arcana in this set, Contemplation, The Rose and The Tangled Web. If it seems weird to add cards to a deck, think of reading Tarot as pulling pieces together to make up a story. With the additional cards, they allow you to enhance the story in different ways than before and they give the cards more opportunity to focus the narrative of the reading. 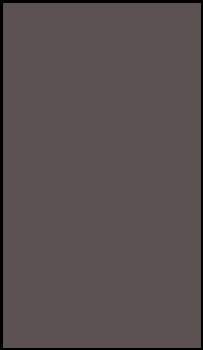 It’s a very interesting addition to a set. 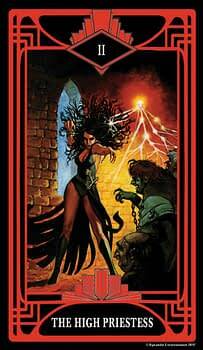 The set is made up using existing Vampirella art from over the last fifty years of the characters history. Pieces from Frank Frazetta, Joe Jusko, Jae Lee and Amanda Connor. A lot of the classic Vampirella artist are included as well. For a fan of the horror icon, these are a great set of cards to see the art. If that is your thing, then I recommend these cards. Now, looking at them from a reader’s perspective. The addition of the three major arcana cards make this a very unique set, something you won’t get from other decks. The art, where beautiful, in some cases has little to nothing to do with the meaning of the card. For an experienced reader, these would be fun and different to use and the inserted instructions give the minimal information, but does a nice job of it in such a condensed manor. My only serious complaint about these cards is the thickness and coating. These would be fine for the occasional party reading or having around to look at the art. But for any serious use, the cards just aren’t durable enough for long term repeated use. Hopefully Dynamite will take that into consideration if they do up a another set of tarot cards. These are definitely worth picking up if you collect all things Vampirella or collect Tarot Cards.